Stamp with Melva: What a wonderful way to spend a weekend! I had a great weekend at a scrapbooking retreat put on by Sue Farrant and Alison Solven. We started about 1pm on Friday and went through to Sunday afternoon. 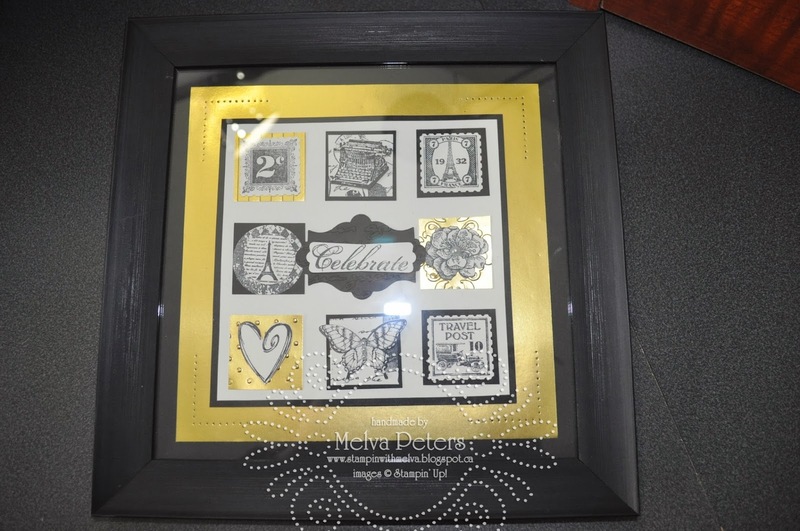 Such fun and so luxurious to stamp and create for over 48 hours. I did get some sleep to, but I can tell you that there were some crafters there that didn't sleep much! 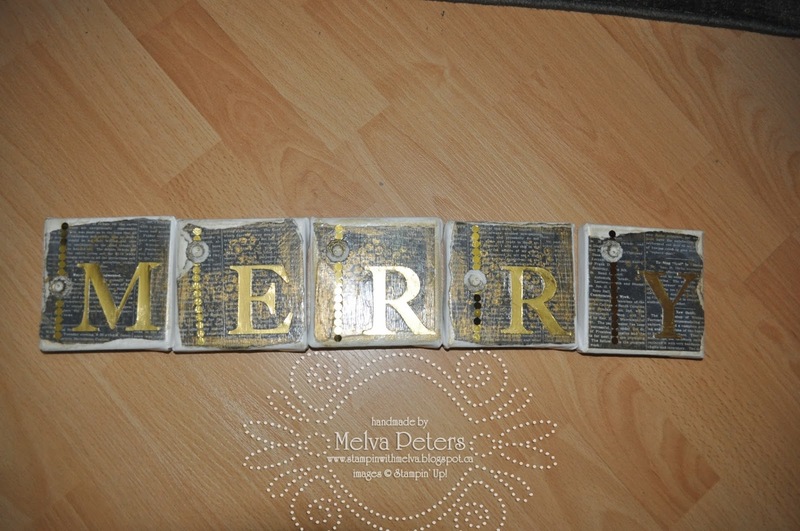 My goal for the weekend was to get my Christmas Cards made (check! ), make a sample for a Christmas present (check), make a hostess gift (check) and to design my swap for an upcoming Demo meeting (check - and I even got some of them cut out!). I thought I'd share with you some of my creations. This is the 8x8 sampler that will be for my sister. I love how this turned out with the black and gold. Sorry for the picture, it's hard to get rid of the reflection on the glass. The next project was a Mixed Media project. Again black and gold - seems to be a theme in my sisters house! I plan to find some ribbon to hang these on, but at the moment they are single blocks that spell out "MERRY". Have I mentioned that I'm addicted to Mixed Media! It was a great weekend - now back to reality and work!